“Enjoy” layout using JB Soup journaling sprouts. I’m very excited about these little buggers. 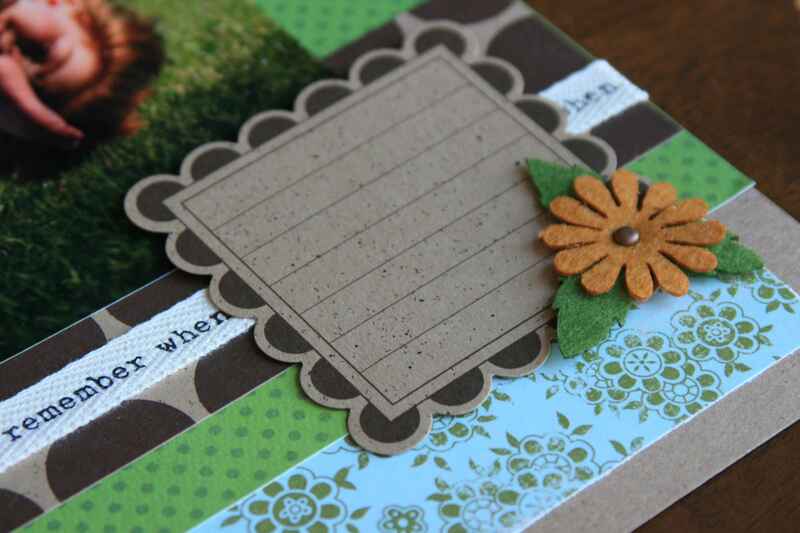 Use them to journal, add embellishments to, or just add for additional color. Other products used: Patterned Paper: Autumn Leaves, Reminisce ; Diecut Paper, The Paper Company; Chipboard title, Making Memories; Ribbon, JB Soup; Button, Creative Cafe; Paper Clip, Making Memories. 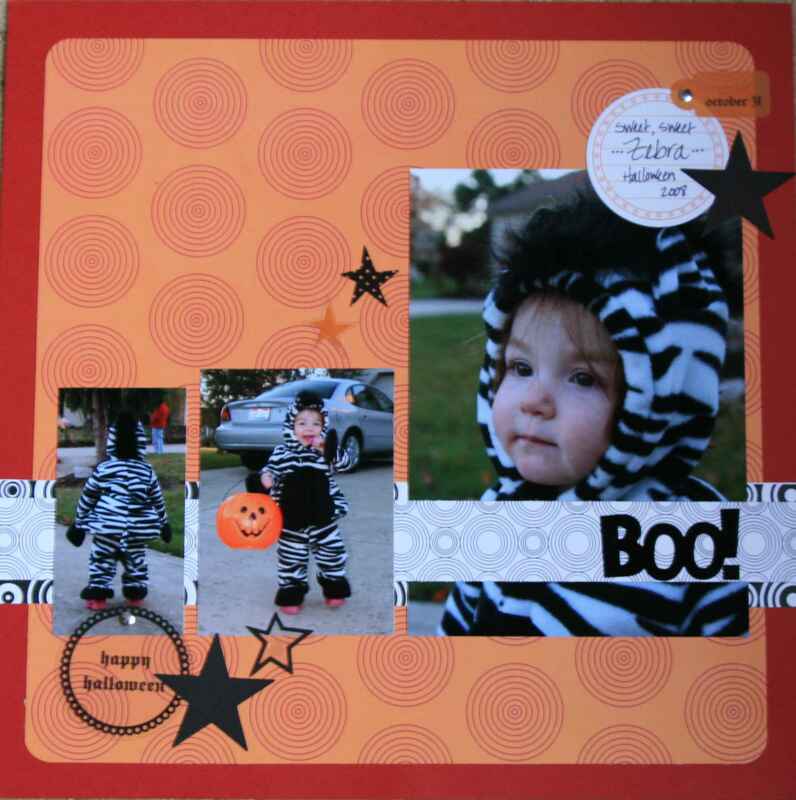 “Boo” halloween layout using another JB Soup journaling sprout. 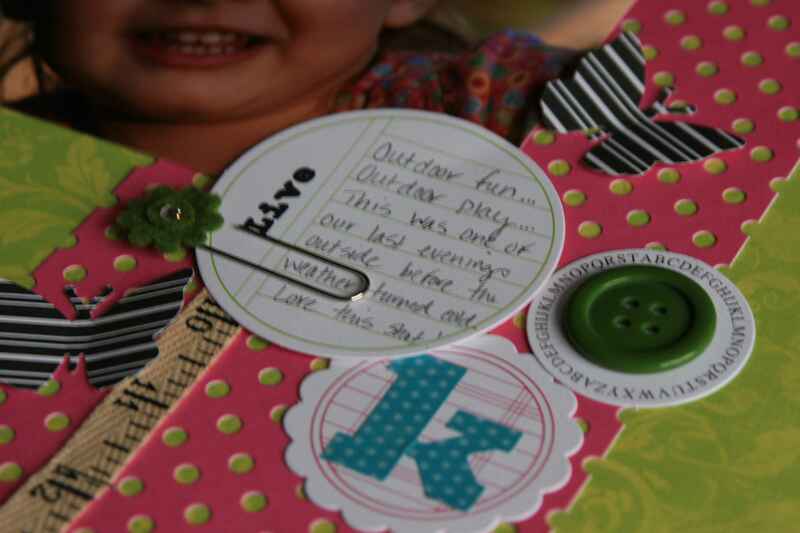 Other products used: Patterned Paper: JB Soup, Black/white, unknown; Felt title & plastic stars, Making Memories; Metal nailheads, Mark Richards; Other – star punch from Fiskars. 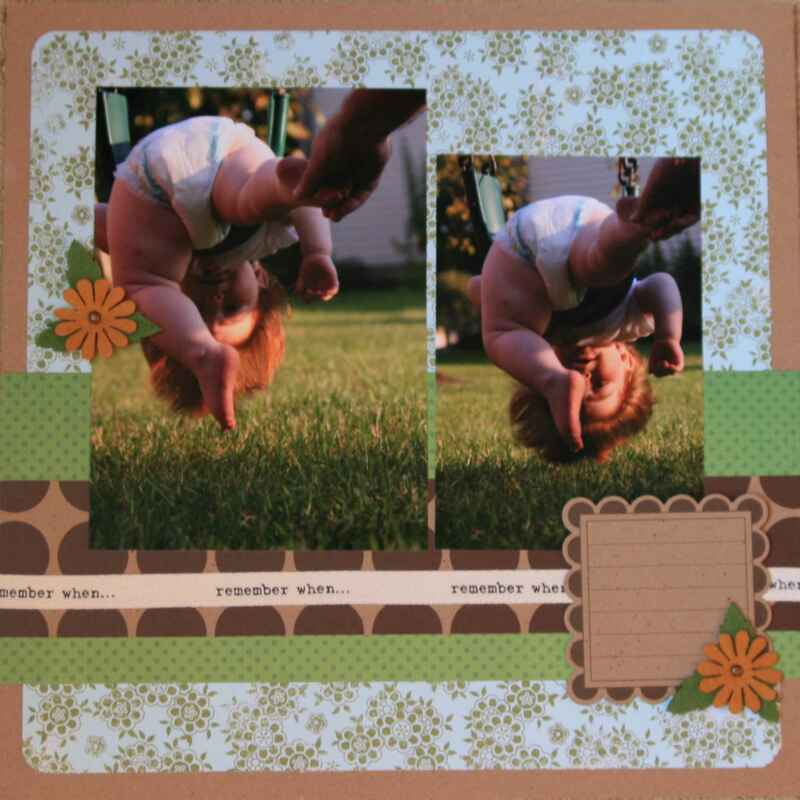 Another layout using the kraft square sprouts. The journaling is not complete yet, but I thought I would share it anyway. Other products used: Patterned Paper: Bo Bunny, Making Memories, JB Soup; Ribbon, JB Soup; Felt Flowers, JB Soup; Journaling Sprout, JB Soup. the journaling sprouts are so cool! love the layouts- i especially like the colors on the enjoy lo! pink and green together are my fav! jen t.
Cool! Can’t wait until my layouts are ‘sprouting’ too! The sprouts are absolutely awesome and in so many shapes and sizes & colors. Looks like JB soup is really expanding with the felt shapes, sprouts, ribbon ….. who knows what’s next!!!!! These designs are amazing. I am getting inspired…..
Are your acryllic stamps coming out soon? Can’t wait to see them. I was fortunate to be scrapbooking with Jill just a few days ago and she gave me a variety of these sprouts and I have to tell you that they are all ABSOLUTELY AWESOME! They are a heavy weight, smooth surface for writing or stamping, vibrant colors and more! So far, I have used them for journaling on several layouts, stamping on both layouts and cards, put stickers on them for layouts and, just last night, I put red felt snowflakes on some using brads for some cards. This morning, I sent my daughter’s teacher some things to use for a class activity and I put them in a kraft lunch bag & then used a sprout to write her a note….the possibilities are endless and these sprouts are FABULOUS!!!! !